A safe and non-surgical weight-loss program is finally here. ORBERA® is a weight loss program designed to help you achieve weight loss goals. ORBERA® is a two-part weight loss program designed to help you to lose weight and maintain a healthy lifestyle. Long-lasting weight loss and overall health is much more achievable with ORBERA®‘s gastric balloon technology, healthy diet, personalized exercise plan, support team and access to an available online after-care program. It has been shown that patients can lose up to 3x the weight with ORBERA®‘s weight loss system than with just diet and exercise alone. The deflated gastric balloon is inserted through your mouth, eliminating the need for incisions or stitches and the scars they leave behind. After the stomach balloon is inserted through the esophagus and properly into the stomach it’s filled with a safe saline solution. When the ORBERA® stomach balloon is filled completely it is about the size of a grapefruit and moves freely around the stomach. ORBERA® is FDA-approved and the #1 weight loss balloon in the world. Over the last 20 years ORBERA® stomach balloons have helped over 220,000 people. The gastric balloon encourages portion control while you make healthy changes to your diet and lifestyle. 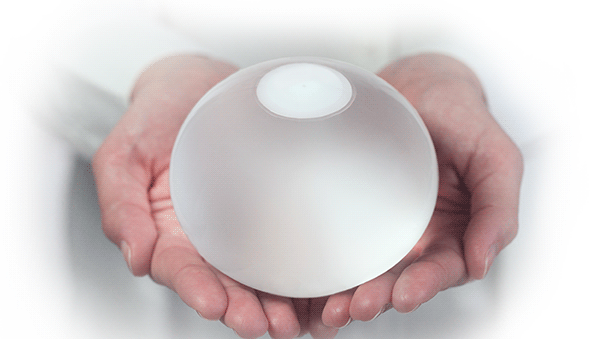 The ORBERA® weight loss system is much more than just a gastric balloon. It’s a program that helps you to change your lifestyle, not only physically but mentally too. A healthy mindset is the key to achieving your weight loss goals and maintaining a new lifestyle. ORBERA® makes this possible through a support team that may include dietitians, psychologists and exercise psychologists. ORBERA® is a 12-month weight loss and healthy lifestyle program. For the first six months of the program a gastric balloon is placed in your stomach to help with portion control. This will help you to learn healthy portion control methods while your body adapts to your new lifestyle. For the entire duration of the 12-month program you will be encouraged through the help from your support team to follow a diet and exercise plan. This not only helps in weight loss during the 12-month program, but also teaches you how to maintain a healthy lifestyle long-term through recommended exercises, healthy foods and portion sizes. The ORBERA® stomach balloon is soft, durable and about the size of a grapefruit. While un-inflated, it is inserted through your mouth and into your stomach. This simple procedure eliminates the need for any incisions or stitches and usually takes about 20-30 minutes to complete. Once inserted carefully into the stomach, the silicone balloon is then filled with up to 700 cc of a safe saline solution. Once in place the stomach balloon can begin encouraging healthy portion control. We only select the most qualified specialists to perform the ORBERA® weight loss balloon procedure on our patients. Check to see if you have one nearby. The ORBERA® weight loss system offers several different features that work together in harmony. These features not only give you the jumpstart to your weight loss journey, but they also provide you with the skills to live a healthy lifestyle long-term. During a U.S clinical trial, the ORBERA® weight loss balloon showed 3.1x the weight loss of diet & exercise. Over the last 20 years the ORBERA® gastric balloons have helped more than 220,000 people lose weight in over 80 countries including Canada, Australia, Brazil and the U.K.
With ORBERA® you can lose up to 3x more weight than with just diet and exercise alone. The stomach balloon kick starts your weight loss physically, but the aftercare and ORBERA® Coach help to keep it off mentally. Receive tips on how to live a healthy life. Get notified when ORBERA® becomes available near you!